(MoneyWatch) Like clockwork, we get headlines at the end of each August about how September has been the worst month for stocks. 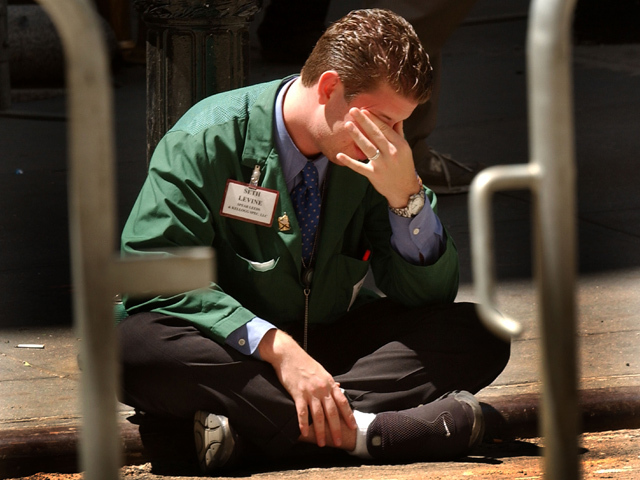 One article from this year noted that "it's easily the worst month for equities," with the Dow Jones industrial average falling nearly 60 percent of the time. One can only wonder how many investors acted on this information. Identifying patterns that worked in the past doesn't necessarily provide you with any useful information about stock price movements in the future. Unless there's a logical explanation for cause and effect (and there's none in this case), it's likely the finding is nothing more than a random outcome with no predictive value. As Andrew Lo, a finance professor at MIT, points out, "Given enough time, enough attempts, and enough imagination, almost any pattern can be teased out of any data set." Does the sell-in-May strategy work? As Nobel laureate behavioral psychologist Daniel Kahneman demonstrates in his book, "Thinking, Fast and Slow," as human beings we're virtually "hard-wired" to make mistakes such as extrapolating from small samples and seeing patterns where none actually exist. Among the keys to being a successful investor are to be aware of such cognitive biases and to avoid making the 77 mistakes described in my book, "Investment Mistakes Even Smart Investors Make."